The above list is not exactly the type of to-do list I ever thought I’d be faced with. As you can imagine, this list of tests, screenings, procedures and treatments was a bit overwhelming as I was diagnosed last October with a Stage II breast cancer. Not only did I learn I had triple negative breast cancer, but I had to accept that my treatment plan would definitely include chemotherapy—8 rounds to be exact—followed by surgery and radiation. My life and my family’s life was about to change during this time. So we talked and prayed, and then we prepared for this journey. Once I did a little digging, I found an excellent resource (right in my back yard!) that explained this condition to my family and me. PreventCancerInfections.org is a website developed by CDC that provides practical steps that patients and caregivers can take to prevent infections. 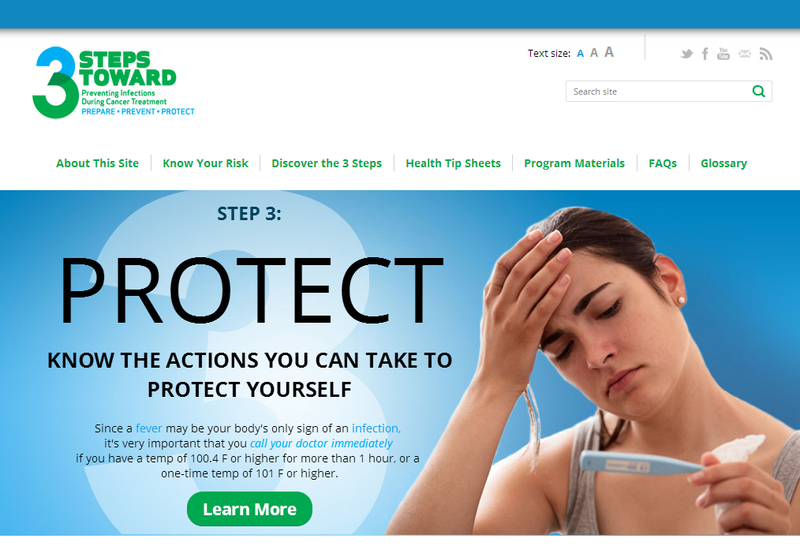 This website also helps explain what neutropenia is (a low white blood cell count), how and why it makes you more likely to get an infection, and what you and your family can do to help protect yourself. Frequent hand washing with warm water and soap and using hand sanitizer. We were diligent in practicing good hand hygiene especially after coming home from work and school, using the bathroom and handling garbage. For me, life after breast cancer treatment means taking just one day at a time and continuing to be mindful of the simple things I can do to keep my family and me as healthy as possible. In honor of National Cancer Survivors Day, I’d like to recognize my strong support system of loving and devoted family, dear friends and caring co-workers who helped me stay strong and positive throughout this process. I also would like to send my words of encouragement to all people living with a history of cancer—including America’s nearly 14 million cancer survivors. So whether you’re a cancer survivor, family member, friend or medical professional, this time provides an opportunity for all of us to celebrate another day and another milestone! This is also posted on CDC's Safe Healthcare blog. Pamela Bryant, MS, is a health communications specialist at the Centers for Disease Control and Prevention.